Can you give us an overview of the Hiko Nose threads please? Nose augmentation has traditionally been limited to dermal fillers (non surgical ) and rhinoplasty (surgical). 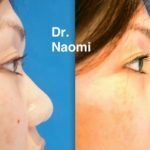 Hiko nose threadlift is also better known as the “lunch time nose job” in Singapore and Asia because patients can leave the clinic within 30 minutes and resume their jobs immediately after the procedure. By careful placement of fine, absorbable threads in the nose in the supraperichondrial and supraperosteal plane, the nose bridge and tip and lifted and their definition is improved. The threads last longer than traditional fillers but are not permanent as with rhinoplasty. However, the risks of an invasive surgery and implant are avoided. 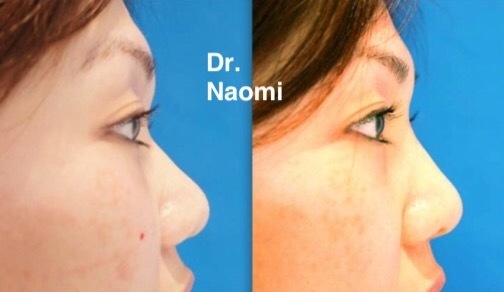 The Hiko nose threadlift can be repeated once every 1-2 years to maintain the results. What is the history of the Hiko nose threads? Hiko nose threadlift originated in Seoul about 15 years ago. Literally translated from Korean, “Hiko” means high nose and is a bridge between fillers and rhinoplasty. Step 1: The face, especially the nose is cleaned to remove any makeup and dirt. Iodine and Chlorhexine are both used for sterility. Step 3: Once the nasal bridge is numb, threads are inserted through the nasal tip and horizontally along the nasal bridge, under the soft tissue of the nose, in the supraperichondreal and supraperiosteal plane. Typically, 4-8 threads are inserted along the nasal bridge to achieve the desired nose height and definition. With local anaesthesia, patients rarely complain of pain. 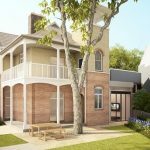 At most, they may feel a slight pressure as the threads are being inserted. The procedure can be completed within in 20 minutes. 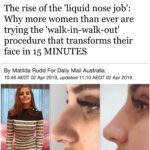 That’s why it’s being heralded as the “lunch time nose job” in Asia and growing in popularity among our patients. What is the downtime associate with the procedure? When can the patient typically go back to work afterwards? Some swelling due to the local anaesthesia is inevitable. This usually wears off in a few hours. Slight bruising may also occur along the nasal bridge but this resolves in a few days naturally. There is absolutely no restriction in the daily activities after the Hiko nose threadlift and patients can resume their daily lifestyle and use makeup after the procedure. So far, all our patients have been able to return to work the same day. What are the risks associated with the Hiko nose lift? 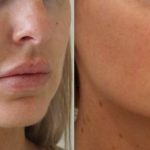 The Hiko nose threadlift is generally a very safe procedure and temporary swelling and bruising are the most common issues that arise post procedure. Cold compression using ice packs can help to hasten the recovery. Unlike nose fillers, the risk of blindness and skin necrosis is exceedingly rare as the risk of vessel occlusion is negligible. Infections in the form of cellulitis and abscesses can occur with the Hiko nose threadlift as the threads are after all a foreign body. Performing the nose threadlift using sterile techniques, prescribing post procedure antibiotics and maintaining basic skin hygiene help to minimise this risk. Nasal deviation is also a possibility due to the incorrect placement of the threads. The threads can be difficult to remove once they have been inserted, hence, it is important to select an experienced doctor to perform this procedure for you. * What is the longevity of the procedure? When would you expect a patient to have the procedure again? The most common material choice for threads is called Polydioxanone or PDO for short. PDO commonly used in surgical sutures for wound closure in the body and is absorbable. PDO is absorbed within 6 to 12 months. 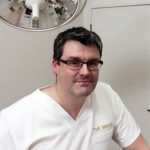 As the PDO fibres are absorbed by the body over time, the PDO fibres also stimulate the soft tissue of the nose to produce its own collagen and connective tissue along the path of the PDO fibres to replace the PDO fibres, thereby continuing to improve the profile of the nose. The total longevity of the effect of the nose threadlift is about 1 to 2 years for most patients. 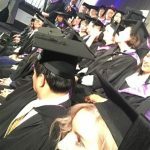 What is the satisfaction rate? 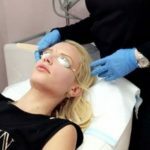 How does the satisfaction rate for Hiko nose threads compare with the satisfaction rate for nose dermal filler? The satisfaction rate is probably 90-95%. 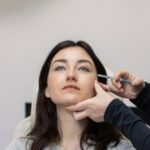 The satisfaction rate for Hiko nose threads is higher comparable to the satisfaction rate for dermal fillers in the nose as firstly, Hiko nose threadlift is safer than nose fillers and secondly, the threads last longer than most dermal fillers. 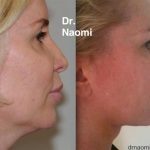 Thirdly, dermal fillers in the nasal bridge can migrate and cause broadening of the nasal bridge. This does not occur with the Hiko nose threadlift as the threads are very stable and do not migrate. 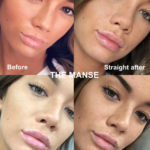 Is the Hiko Nose thread lift more safe than dermal filler for the nose? If so, why? The Hiko nose threadlift is definitely much safer than dermal fillers for the nose. The two major complications of dermal fillers in the nose- blindness and skin necrosis- arise due to vessel occlusion by the filler material during injection and subsequent occlusion of the Opthalmic vessels. 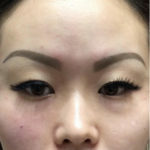 With Hiko nose threadlift, the risk of vessel occlusion is negligible and so far there has not been any reported case of complications arising from vessel occlusion due to threadlifts. 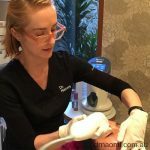 It safe to have most medical aesthetic procedures such as lasers, injections (both Botulinum toxin and dermal fillers) and face threadlifts performed on the same day, except for treatments that require radiofrequency. What is your advice to patients who have already had nose fillers who would like to try the Hiko nose thread lift? 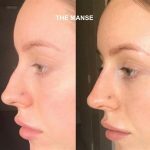 If you have tried nose fillers before and are unsatisfied because of the risks, short longevity and broadening of the nose bridge, then the nose threadlift is a good alternative to you. The threadlift is a bridge between traditional nose dermal filler and rhinoplasty, without the usual risks of an invasive surgery. * Are there any other non-surgical cosmetic procedures that you are excited about currently? The AGNES treatment for eye bags removal and also for double chin shrinkage is something we are working towards. See below for videos and instagram posts from patients of Clifford Aesthetics!